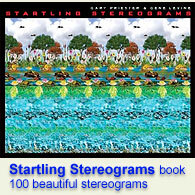 High Scores : Stereogram Images, Games, Video and Software. All Free! 2. It killed my eyes X_X br But great anyway. 3. It killed my eyes X_X br But great anyway. 5. The spiky balls psyche me out. 7. This is great! I wonder why I didn t find something like this sooner...! 12. You should to be able to rotate the pieces in both directions (2 rotate Keys). Also the full screen doesn t seem to fit in my browser so the top is cut off. 13. I like it. You Can mail me on these type of stuff akansh.shandilya@gmail.com . 15. My eyes are tired but THE GAME IS AWESOME!! I (Faroukh Argentina) feel kinda privileged to be able to play this game Great idea congrats to the authors! 18. 足 好 爽 約 ， 嶄 ! 19. 足 好 爽 ! 嶄 ! 20. It s more than awesome! 21. finally made the top 50 for the last 30 days fab yeah yeah yeah! 22. We should get a bonus for completely clearing the board yes??! 23. is it just me or is this game really more difficult at different times? 26. Hi! br why my score are not in this table??? br yesterday I play and I submit my score but I don t findit in this table...why??? br Thanks! 27. Time eater. Public danger. 31. Awsome stuff. I m just addicted to drive this snake. Great exercise for my eyes. And I think good synchronisation of cerebral hemisphere too. GREETINGS from POLAND! 33. belle idé e !!! br bien ré alisé et tout et tout !!! br bravo !!! 34. I m looking for as this game for a few years. thanks for this and have any game like this other links could you tell me? 36. Anyone know how score is counted? Once I have more points per level and once less. 40. Good Game how can i download it? 42. Interesnaia igra spasibo. br Chtobi ee skachat nuzni postavit na Firefox rashirenie Flash Video Downloader. Skachenii fail otkrivat Ã± pomoshiy lybogo internet brauzera. 44. keep up the good work! 45. I only got 313 but it was a blast. Sadly every time I got rid of a row I lost focus and the pause screen gets in the way of regaining it. The hidden code required to post is quite hard even when I see it its hard to read but it keeps the haters away. Love the game please do Mario Next! 46. This is the most fun I have ever had playing tetris! I will never play another way again...and I agree you should do MArio next! 49. This game is so cool! 53. This game is excellent exprience. 56. Absolutely great program tis incredibly fun in this version. Great work! 58. Cool way to get eyestrain. 59. Since I have half of the top 100 scores on python I might make a video for everyone to see how we make it to level 20 and beyond. I have usernames tailzypoo & milestailsprower . I ve also been playing for 3 or 4 years. 60. Finally broke into the top 100 that took some doing... Didn t seem remotely possible for a long time... This is the only video game I ever play... I suspect that sometimes it is easier than others and when you get an easy one you have to make the most of it. Does that sound right? 62. Dear Tennis br No in fact it s even good for your eyes... br Dear rest of the world br This is really difficult! 70. I just got scores 14760 and Submitted successful. But why I can t see my score on the list [Last 47 scores submitted]? 79. Why list of last 47 scorers don t refresh ? 80. I did break this game for a long time I will check it try again. 84. Got a pretty lousy score cause ive never been good at tetris but toooootally loved it! 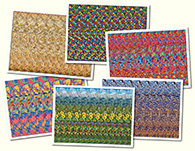 And this captcha is cruel for people that cant see these... love it too lol. 86. Ã¨Â¶Â³ Ã¥Â¥Â½ Ã§ÂÂ½! Ã¥Â¶Â! 89. Have any new kind of 3d game ?